I am officially the worst mom in my kids eyes. And that is because I have said "No" to trampolines. Not just at my house, but anywhere. I have read waaaay too many stories of people being injured on trampolines. Stories of adults and/or children who were jumping "properly"--you know, one at a time, using a safety net, etcetera. My children's pediatrician advises against trampolines. 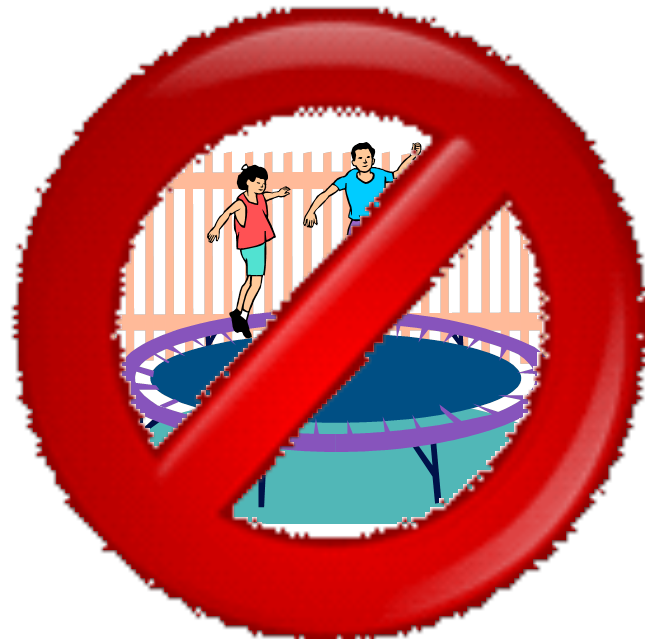 The American Academy of Pediatrics advises against trampolines. And I have made the very tough decision to say no. What is really scary is that most people are not aware that their homeowners policy will NOT cover trampoline claims. 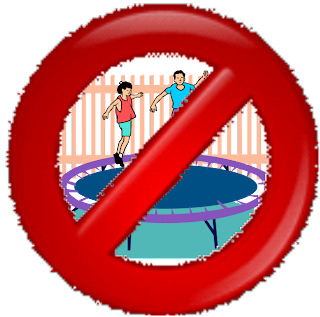 In fact, if companies are aware that you have a trampoline, they may tell you to get rid of it or will drop your insurance. What does this mean for the homeowner? It could me that if someone else's child got hurt on your trampoline, they could sue you for damages. And would win. So, as much fun as backyard trampolines look, they really pose a grave danger. My advice? Don't let your kids jump on one. You aren't really being a mean mom, but a smart one!